The rich succulence of select tuna! We make sure to give you products that are superior in freshness and flavor. 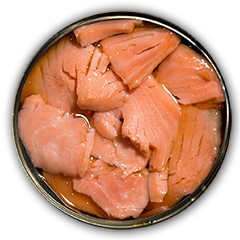 Our salmon products are sourced from the deep seas of the Pacific and the Atlantic, and smoked in the best facilities in the Philippines, New Zealand, and the United States of America. Our tuna, caught in sustainable quantities in the teeming depths of the Pacific, are processed and canned in our very own canning facilities, and distributed globally. Alliance Select Foods International, Inc. (ASFII) is a homegrown international seafood company. It is a public corporation registered in the Philippine Securities and Exchange Commission (SEC) on September 1, 2003 as Alliance Tuna International, Inc. 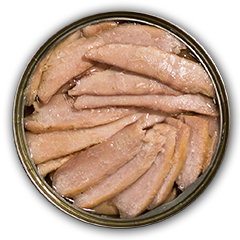 It started commercial operations in 2004 to engage in tuna processing, canning, and the export of canned tuna products in General Santos City, Mindanao, Philippines. In 2006, the company was listed on the Philippine Stock Exchange through an initial public offering. It was renamed to Alliance Select Foods International, Inc. in 2010 to reflect the company’s direction to diversify its product line and take advantage of its manufacturing expertise and global marketing channels. Starting in 2008, ASFII began expanding its tuna business, and established PT International Alliance Food Indonesia (PTIAFI), an Indonesia-based canned tuna manufacturing plant. The company further expanded to salmon and other seafood processing and sales by forming Big Glory Bay Salmon and Seafood Company, Inc. (BGB) in General Santos City last 2009 and acquiring Spence & Company Ltd. (Spence) in the USA last 2011. The company also went into salmon farming and processing by investing in Akaroa Salmon (NZ) Ltd. (Akaroa) in New Zealand last 2012.